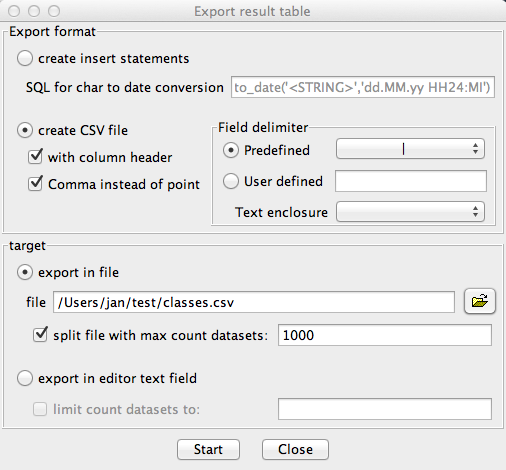 The current retrieved data sets can exported as text or Excel format or as SQL insert statements. This export dialog takes the current session as templet, creates a new connection and run independent from all of you next activities. It doesn't matter how much datasets the query brings, this dialog take a dataset and write it without collecting memory or other resources than the target file. 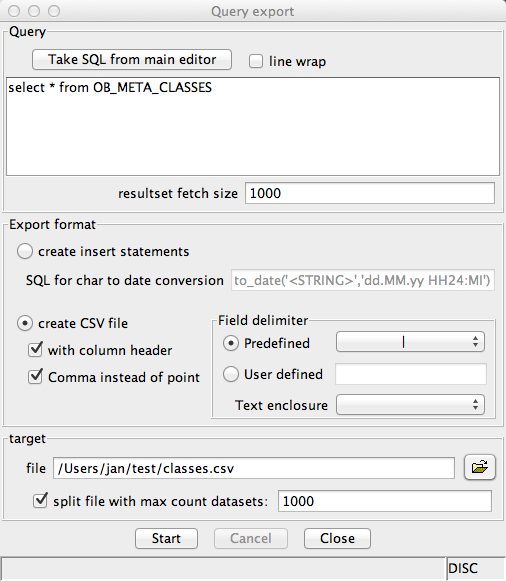 Test the query with the explain feature in the main window and take over with in this dialog with button on the top. You can run more than one export at once! 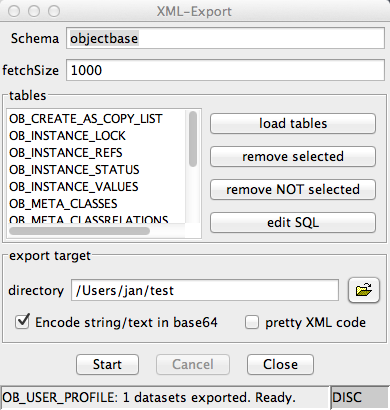 This dialog can be reached from main menu Database->XML Export/Import. It use as fixed defined XML format which is very simple. To avoid crashing the XML format with XML formatted values, text values van be encocded as BASE64. 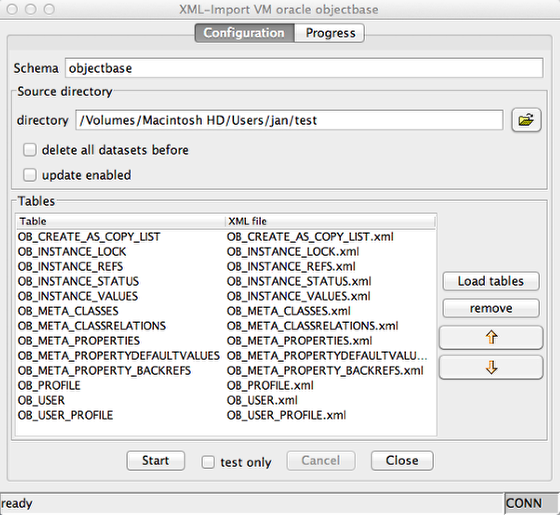 The import works with the export XML format and detects the exported files.